Katharine Carey approached the WTM Team looking for a solution that could present a neighborhood development in Ferndale WA, called Malloy Village. She needed a straight forward website that presented featured properties, floor plans, community information, social media, and lead capture forms. In response to her needs, we presented her with basing the neighborhood website a WordPress theme called AgentPress. We styled the theme to fit the preferred colors, built out featured properties (which populates the search) and lead forms. 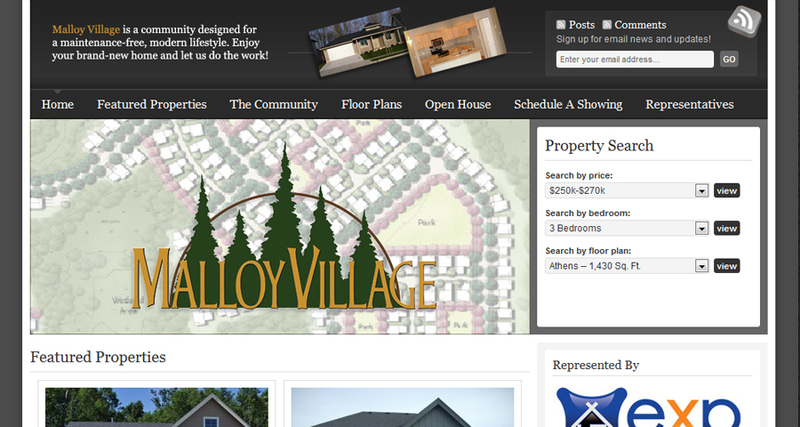 Each property contains property information, photos, floor plans and uses jQuery Lightbox to present the images. A beautiful presentation of a neighborhood development in Ferndale WA, a small town in Whatcom County. Katharine Carey satisfied the home developer as well as secured organic placement on Google.